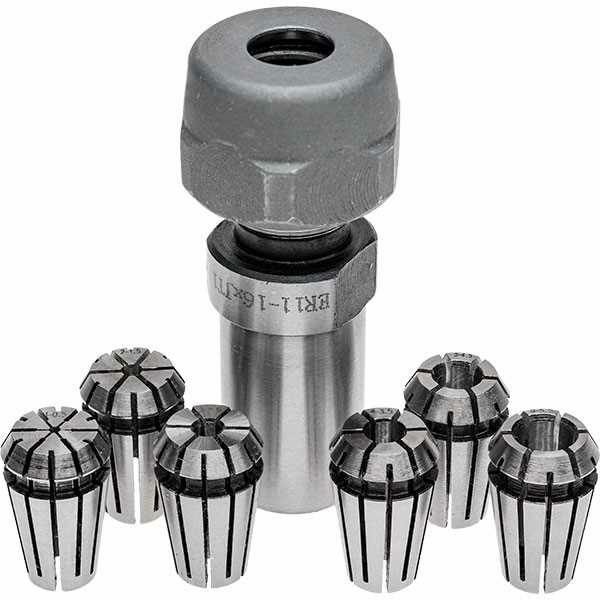 Highly accurate small size collet chuck set. Will fit a JT1 spindle nose or drill chuck arbor*. Oustide Diameter: 16mm (parallel shank). Will fit a 16mm collet or our tailstock turret system. Collets Included: Choice of Metric or Imperial set. Metric: 1, 2, 3, 4, 5, 6mm. Imperial: 3/64", 5/64", 1/8", 5/32", 3/16", 1/4".